FROM early next year a more car-like Nissan Navara will cruise Australian roads. The first new Navara we've seen in a decade will be launched from early 2015 with a choice of three four-cylinder engines - two diesels and a petrol. 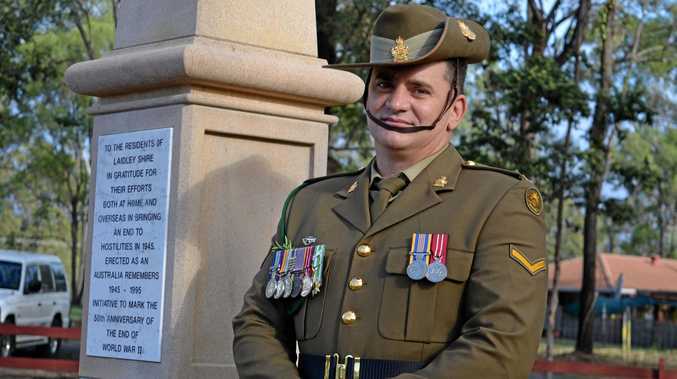 While currently billed as "Australia's most powerful tradie", Nissan will go back to the marketing drawing board by deleting the V6 turbo diesel from the Navara line-up. Yet the new Navara will match its truck competition with a 3.5-tonne towing capacity and one-tonne payload. Five-star safety is also on the cards courtesy of seven airbags - including the vital curtain airbags - which puts the Navara into fleet consideration. Pricing and full specification details are yet to be confirmed. While there are an array of Navara body styles on offer, confirmed for Australia are standard and wide body widths along with three cabin choices - single, king and dual cab. A cab chassis will also be available. 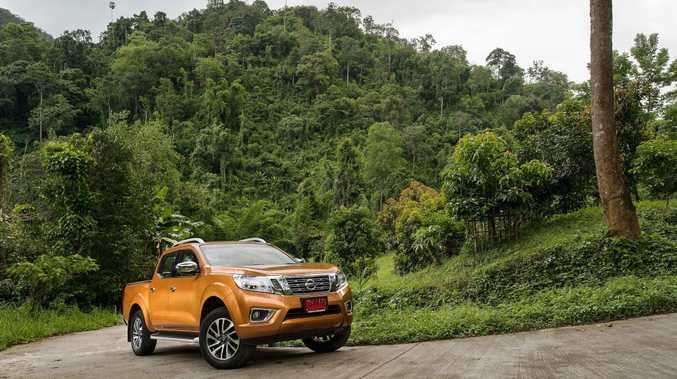 The new Navara was on show today at the global test drive at Chiang Mai in Thailand where improvements to ride, handling and creature comforts impressed. 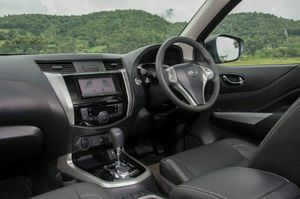 Up-spec dual cab variants we drove featured leather trim on the seats (heated in the front), steering wheel and door arm rests, along with sat nav with touch-screen, comfy front pews borrowed from the Altima sedan, rear air vents and dual zone climate controlled air con. Particularly noticeable is the ride quality. Much softer and more compliant than we've seen before from Nissan in this truck genre, you don't get bounced around or crash over bumps even with an unladen rear end. Much of that improvement can be attributed to the multi-link rear suspension, but the leaf-spring set-up will also come on some models - including the cab chassis variants. We only drove the high-output 140kW oil-burner today, and it's a smooth little unit. At start-up and at low speeds it can feel agricultural, not necessarily a bad thing for a tough truck, which really does its best work above 1200rpm. Fuel consumption figures are yet to be released, but are said to be improved by 19% over the outgoing 2.5-litre diesel which ranged between 9.3-10.5 litres/100km. Our test achieved about 10.5 litres/100km. 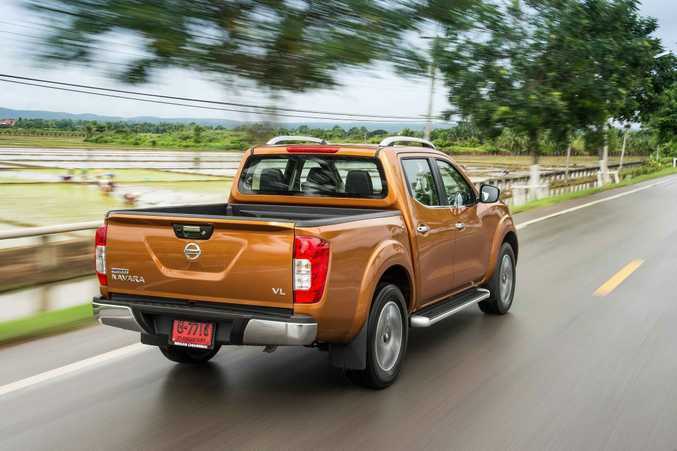 The Navara is a vital model for Nissan. Over the past two years it has sold nearly 40,000 units in Australia with the 2.5-litre diesel ST the most popular. Details: Two or four-wheel drive utility, available in standard and wide body widths along with three cabin choices - single, king and dual cab. Engines: 2.3-litre four-cylinder twin turbo diesel generating maximum power of 140kW @ 3750rpm and peak torque of 450Nm @ 1500-2500rpm (single turbo generates 118kW and 403Nm); 2.5-litre four-cylinder petrol generating maximum power of 118kW and 231Nm. Transmissions: Six-speed manual or seven-speed automatic.